4 pears salad with vanilla: 4 flavours of pear and vanilla. 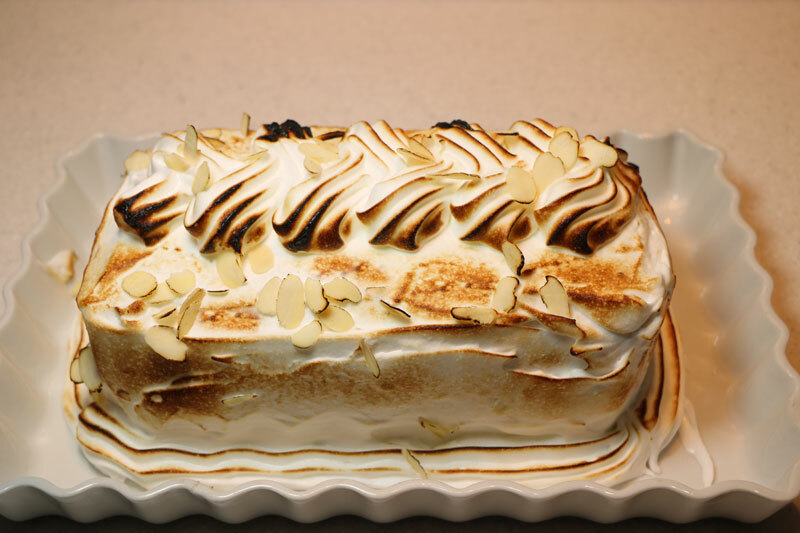 Baked Alaska: Rum-soaked sponge sandwiched with vanilla ice cream and blackcurrant sorbet, covered in meringue and browned in the oven. Blackcurrant sorbet for Edith: All the flavour of blackcurrants. Blackcurrant, vanilla and lime verrine : 3 layers: lime, blackcurrant and vanilla. Brioche slices with almond cream: Brioche and frangipane, in the oven. Chocolate cream with a crunch, irish coffee mousse: Chocolate, carmelized nuts, candied grapefruit peel and Irish coffee mousse. 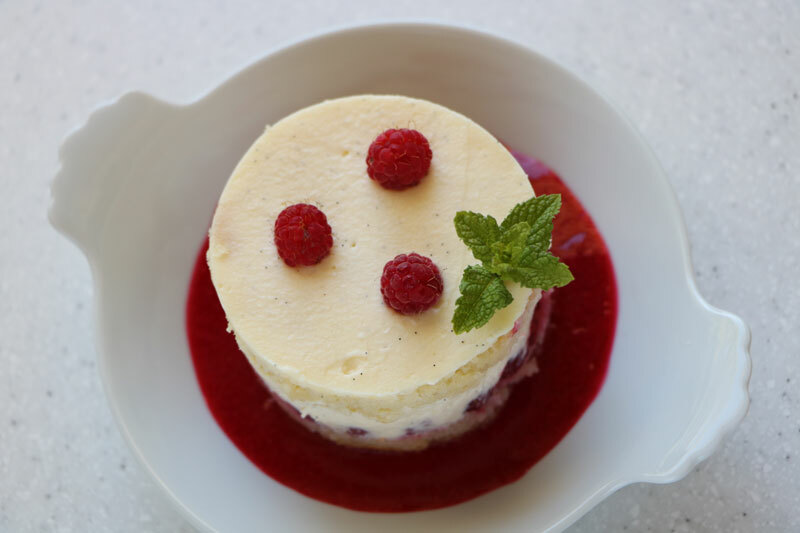 Framboisier: Two layers of cake soaked in kirsch, around raspberries in a vanilla mascarpone cream. Fruit salad: Seasonal fruits and vanilla syrup. Individual charlottes with morello cherries: Morello cherries, vanilla and Monbozon biscuits. Melon with port sorbet: Melon balls with port sorbet. Passion fruit jellies: Classic French "fruit paste" sweets. 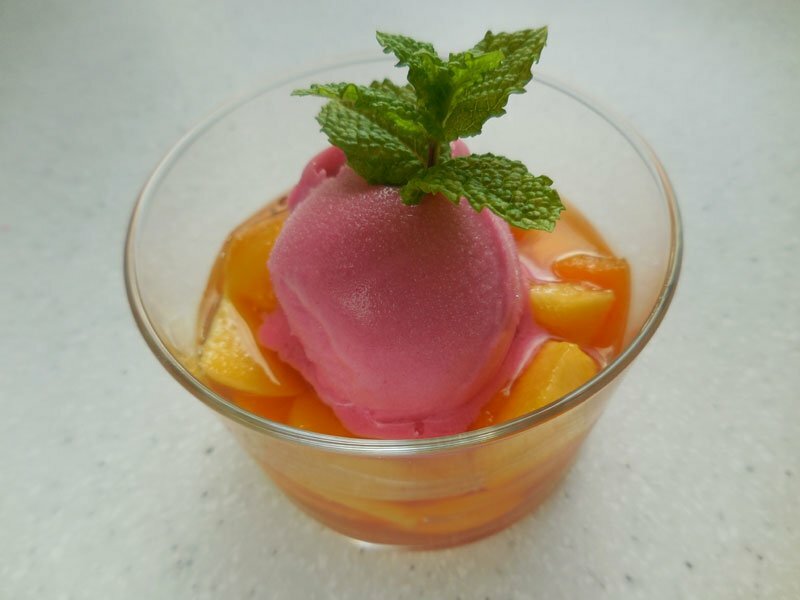 Peach and blackcurrant coupe: Peaches with mint and a scoop of blackcurrant sorbet. 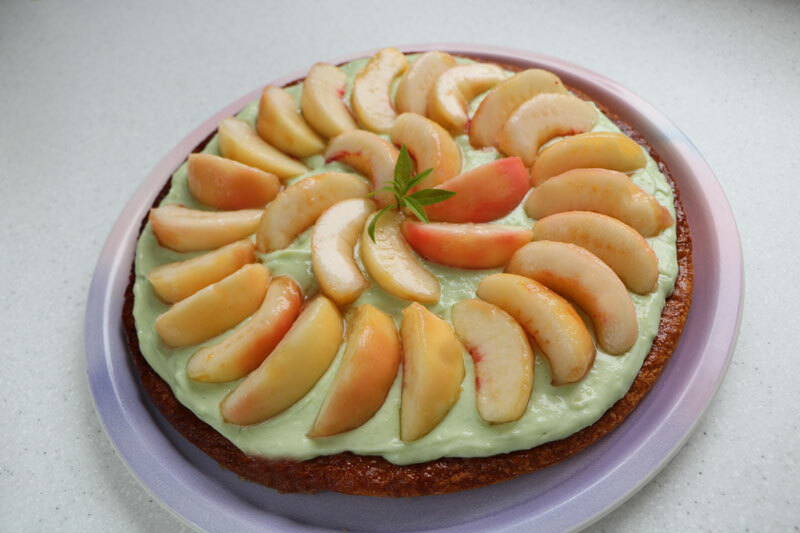 Peach and mint salad : Different kinds of peaches in a mint flavoured syrup. Peach and verbena feuilleté: Caramelized puff-pastry feuilletage, light verbena custard and double rosette of peaches. Pear charlotte: Charlotte with pear mousse and a hint of lemon. Pistachio tiramisu: Tiramisu with a pistachio cream and a coffee-whisky syrup. 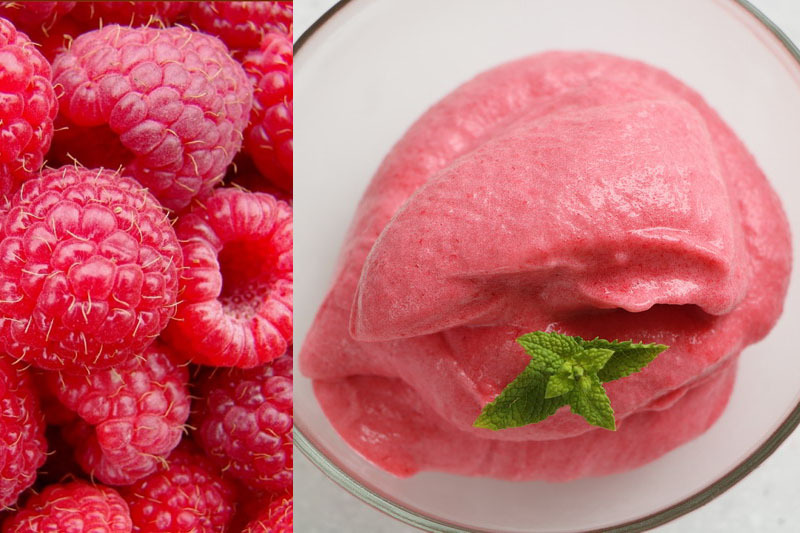 Raspberry sorbet: Raspberries without the seeds and sugar syrup - that's all. Strawberry Charlotte: A shell of soaked bisuits filled with layers of strawberries and whipped cream. 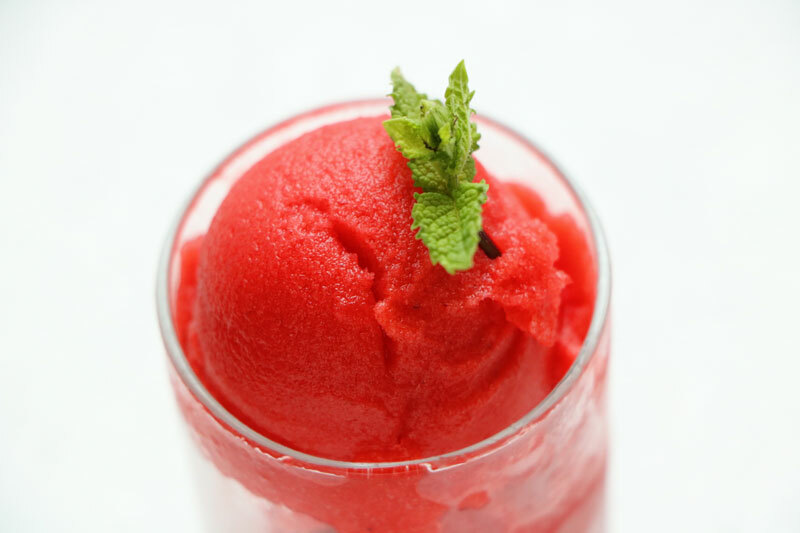 Strawberry sorbet: Light and smooth strawberry sorbet. 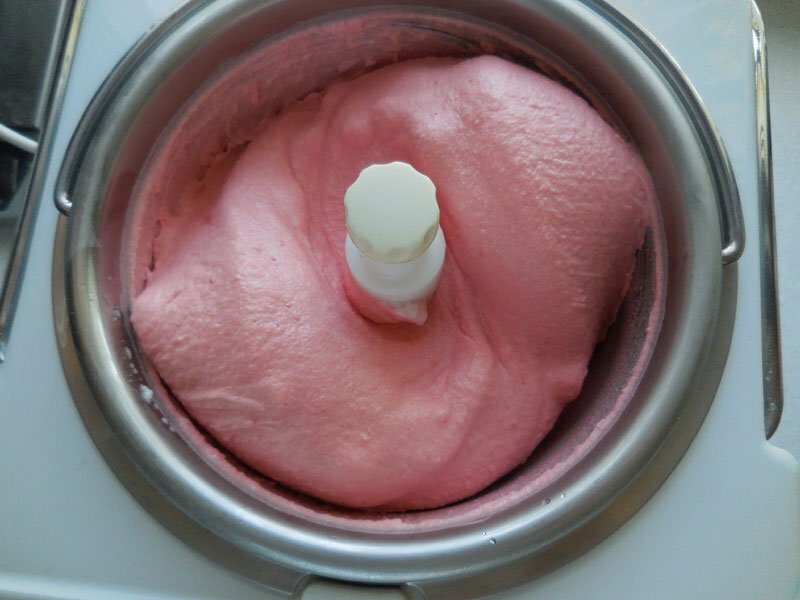 Strawberry-mint sorbet: Strawberries and mint blended into a coulis, then left overnight before churning. 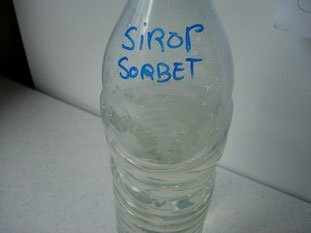 Fruit coulis (fruit purée): For your ice-cream, sorbets and other desserts. How to glaze a tart : Like the professionals. Pavlova: Meringue shell filled with whipped cream and diced fruit.